The Vanni is presently prominently featured in the newspapers. TV brings it right into the home in its chrome yellow and fiery browns. You see landscapes of the land: brown sand, dark bushes and tall Palmyrah palms silhouetted against the red of the skies with a red disc low in the horizon. And then comes this convoy of lorries carrying goods to the people of the Vanni, deprived as they were for twenty long years. You watch with mixed feelings: glad the people are getting what they were starved of, but scared and trembling wondering whether its all going to the LTTE, to be eaten, to be used, and some items compounded to the production of bombs to blow us up. Memory goes flashing back to the Vanni of fifty years ago. We spent holidays with my elder brother stationed in Anamaduwa, the chief town of Demala Hath Pattu, if you can call a couple of boutiques, the hospital, engineers bungalow and DROs office, a town. It was rustic, primitive and snake infested, with the surrounding forest making it a village in the jungle, eternally fighting for existence against its encroaching trees and shrubs. I asked a person who knew the Anamaduwa of then whether it and its Division came into the Vanni. He was not sure. He felt it was more the Mannar region that is the Vanni. The Vanni is now connotative of the LTTE and refugees and suffering. Of course there was suffering even fifty years ago, but there was peace among human beings. They battled together, shoulder to shoulder, against stampeding animals, slithery snakes, ferocious bear and spirits and ghosts who really manifested themselves in the loneliness of the place. According to K. M. de Silva in his History of Sri Lanka (published 1981), the Vanni is the land between Jaffna and Anuradhapura. So Demala Hathpattu should certainly be part of Sinhalese, Tamils and Muslims lived amicably together; their enemies calling for a united front being malaria, poverty, angered animals and the encroaching jungle. They were completely amenable to discipline, the government servant was to be obeyed, respected and taken on as father figure. They were docile to the utmost, concerned only with eking out their existence and shivering back to health when the ague of malaria took hold of them. Their guns were for self protection against marauding animals, or to get that rabbit or deer in the pot, when the season allowed it. 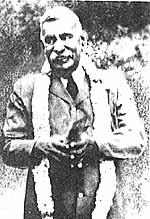 Reverting to K. M. de Silvas book, I quote: "Tamils settled down after the defeat of the Kalinga dynasty by Cola and Pandyan invaders who came plundering from which the Sinhala Kingdom of Rajarata never recovered, after the might of Vijayabahu I and Parakramabahu I. Magha of Kalinga and his campaign of pillage crushed the Sinhalese...a watershed in the history of the island, making a new political order." This was around 1255. The Sinhalese retreated to the hills in the Wet Zone and made Yapahuwa, Dambadeniya and later Kotte, their capitals, while Tamil settlers, mostly mercenaries, came and took over the Vanni. In the 13th century, the Tamils too withdrew from the Vanni to Jaffna. Then began the emergence of the Vanni chieftains as a buffer between the growing kingdom of the Tamils and what was left of Sinhala power. The emergence of the Vanni chieftains was a direct result of the breakdown of central authority, it is said. Dispossessed Sinhalese nobles as well as South Indian military chieftains from Maghas army, established themselves over parts of the Vanni. These chieftaincies owed allegiance to whichever power held greater sway  Tamils in the north or Sinhalese in the south. Parakramabhahu VI, founder of the Kotte dynasty, and its sole great figure, subjugated the entire Island, the Vanni principalities included, under his rule. In the latter part of the 15th century, the Vanni principalities are said to have extended from below Jaffna and the west coast of that area to as far down south as Yala. Then emerged the term Vanniyar  a Vanni chief. The Dutch took an interest in these areas and under VOC rule introduced techniques of rice transplanting and rudimentary irrigation. It was D. S. Senanayake who, in the Donoughmore era, really started opening the malaria ridden, sparely populated feudal Vanni. His visionary zeal for peasant colonisation of the Dry Zone took a turn towards a return to the heartland of the country and the settling in of Sinhala and Tamil families in the newly opened colonisation schemes. The Kottukatchiya Farm surely was one of his schemes, much later than the Minneriya Scheme of 1933 but much before his vast Gal Oya project. I remember the Kottukatchiya Farm and its first manager  Mr. Unantenne and his beautiful wife Chinta, with his Deputy Mr. Amunugama who reared a monkey, much to the horrified fascination of us very young beings, invited to dinners and lunches on the Farm. They grew vegetables and fruits, specially orange, the size of which stunned us, used though we were to the Bibile large and juicy variety. Visiting surveyors fascinated us, living as they did in tents and always ready for a party. The DMO and DMA were rabid badminton players, I remember, while the VT President and his wife served the most delicious roast wild boar, within the hunting period. The Hath Pattu was, as were many other regions, unpoliced at the time. So the Divisional Revenue Officer had, in addition to all his land work and settlement of disputes among villages in a very paternal way, to be policeman and magistrate. I clearly remember the night when someone came a-knocking at our door to say that a man had shot someone and escaped into the jungle. So my brother got into his outdoor clothes  did he wear Wellingtons, those protective boots?  and with the ever faithful Haramanis went forth into the thick of the jungle. This was one journey of his that we were not taken on. Otherwise inspections and circuits to even the most remote part of the District had us two young siblings trailing along. We were scared, trembling for his safety, but he returned with the murderer in chains, ably captured by Haramanis, the DROs peon, and a couple of adventurous volunteers. The best remembered are the tank baths. My brother preferred a neglected tank in the jungle which sent shivers down my spine: gloomy, dark and menacing in appearance, until one entered the water and found it ever so cool and friendly. The birds in the surrounding area were numerous and loud in their different singing and conversation with each other. We clearly heard one call out, repeatedly, loud and clear: "Did you do it"! !, but never had the luck or ill-luck to hear the wail of the ulama. I wanted to go to the tank in the town of Anamaduwa, but naturally my brother preferred greater privacy. My desire to play around in that shallow water and sandy bottom, and pluck kekatiya mal evaporated when we heard that Mr. So and So, Head Clerk to the DRO, had gone berserk in the water. Here too it was Haramanis who apprehended him as the poor demented soul played water sports with his pursuers. Again the DRO, aided by the DMO, did all that was necessary, and more, to see that Mr. So and So was sent for psychiatric treatment. Some said it was the clerks solitude and purposeful avoidance of social camaraderie that sent him over the bend. Some whispered he was visited by Mohini, the lovely ghost woman who haunted unmarried men. That was Anamaduwa about fifty years ago. Changed now, being out of the clutches of the closed in and closing-in Vanni. We hope and hold our collective breath wondering whether the Vanni will truly be opened up, not only to people of all races but to the process of development so people there are given a better life.